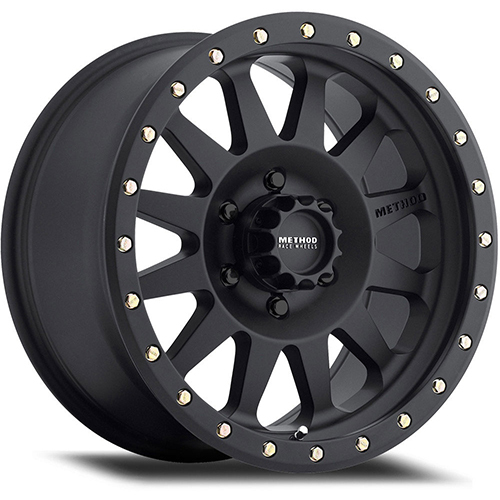 Looking to buy the Method Race Double Standard Matte Black 17x8.5 6x135 0et 94 Hub wheels? Look no further than All Star Motorsports. We have the most competitive prices on the web and want nothing more than to extend our great prices to you. These wheels are available in a variety of sizes and finishes. Produced with the finest quality alloy, the Method Race Double Standard Matte Black 17x8.5 6x135 0et 94 Hub wheels are built to suit your vehicles needs and exceed your expectations. These factory formed wheels are nothing, if not quality. Combine these wheels with any of our vast variety of tires for a complete All Star package. Our packages include free mount and balance, lugs, locks and shipping. Free shipping applies only to the continental U.S.
Let our quality sales personnel guide you through your acquisition of wheels and tires. With your vehicle information, we can supply you the most accurate fitment information required for your car or truck. Let us help make your vehicle styling needs a reality. With over 50 years of experience, put our knowledge to work for you. All Star Motorsports, where performance plus value meet.